Clara (Maia Virgil) decorates the tree with her family (David Virgil, Denise Disney, Ruth Lefkowitz) as the maids look on (Amelia Dunning & Naomi Si). Summer tarried in Swarthmore this year and we tarried with it, taking long lingering walks and eating picnic suppers on our porches. Then fall flashed past in a rush of colorful leaves and we all looked up to find that it was suddenly December. But, for anyone with a sought-after Nutcracker ticket in hand, it’s not a bit difficult to leap into the holiday mood instantly at Swarthmore Ballet Theatre! 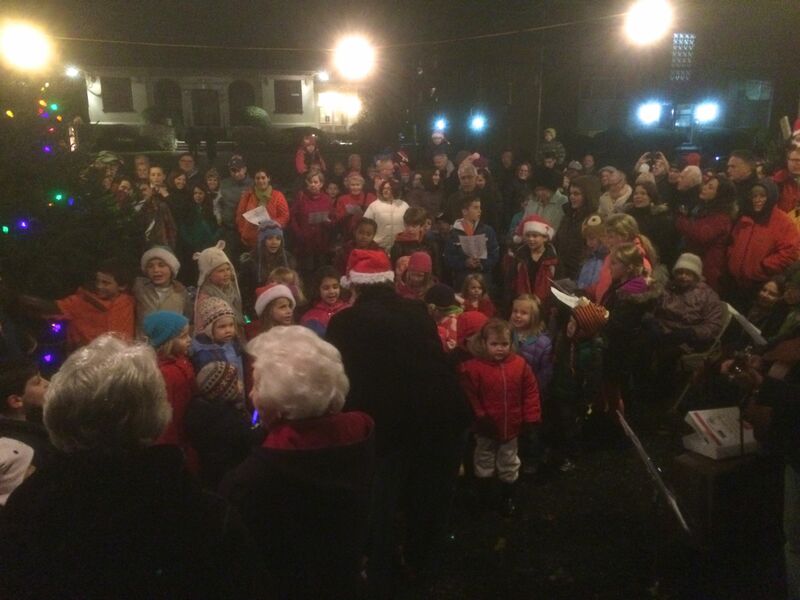 The packed audiences at both of Saturday’s performances waited with bated breath as the lights went down. Mrs. Ardis herself welcomed us, and told the Nutcracker story in such a way that even the littlest audience members could understand what they were about to see. The party scene has always been the heart of the tale. Denise Disney danced Clara’s mother with a lightness of spirits matched only by her lightness on her feet. Clara herself is played by the very talented Maia Virgil. Former SBT students often find that their training opens exciting doors for them. Virgil, who spent her summer dancing in Manhattan after being accepted for a summer intensive at the prestigious Alvin Ailey Dance Theater, is no exception. The party guests arrived and Drosselmeyer (William Hodges) presided over it all, giving out gifts, and presenting Clara with the nutcracker as the audience giggled and gasped at each new development. When the gypsy dancers finally burst onto the scene the small stage was truly packed to the gills. But there was never any danger of confusion – each performer, large and small, was so alive with expression and focused so entirely on the action at hand that it felt as if the whole theatre were one of Drosselmeyer’s magical clockwork creations. Clara bravely fought off a horde of enthusiastically mischievous mice and their imperious queen and then roused her prince. When the helmet came off and the prince’s face was revealed, the audience smiled with him. 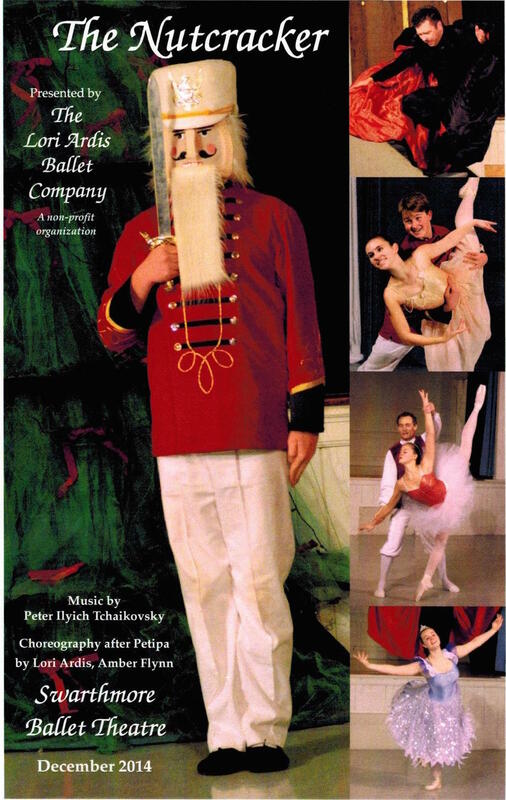 The Nutcracker is Theo Runiewicz’s very first role at SBT. A perfect Nutcracker prince smiles and radiates a non-threatening heart-throbbiness appropriate to appeal to a young Clara, all while leaping,spinning and even lifting his partner. This is no small task even for an experienced dancer, but Runiewicz held his own and Virgil was a perfect partner to him, her experience and his enthusiasm combining to make their pas de deux truly fun to watch. I hope we’ll see more of Runiewicz at SBT soon. After an action-packed first act, the peaceful strains of the Waltz of the Snowflakes can feel ponderous. But Eleanor Runiewicz and her snowflake attendants instantly took command of our attention and held it until the lights went down. Runiewicz’s Snow Queen was glamorous, and precise as a jewelry box ballerina. Her attendants were absolutely mesmerizing, we have much to look forward to as these young corps de ballet dancers come into their own. The second act was a visual treat. Costumes are designed by Lori Ardis and Bonnie Weaver, and hand sewn by a dedicated group of volunteers. This year’s palette featured sumptuous jewel tones for the Waltz of the Flowers, Quartet, Tarantella and Spanish dance. These rich colors were reminiscent of old-fashioned Christmas tree decorations and they absolutely sparkled under designer Doug McCullough’s beautiful lighting. The simple yet dramatic use of wing-like gauze robes for the Chinese dance was breathtaking and unforgettable. Grace Hodges has been lighting up the stage at SBT for years and her Sugar Plum fairy was a delight to watch. Her solo had a jaunty confidence that matched the puckish edge to the music and when she wrapped things up with a dizzying series of inside and outside piqué turns the audience applauded in awed delight. Her pas de deux with veteran cavalier, Donn Guthrie, was nothing short of athletic. Guthrie wowed us again in his Arabian with partner, Mia Davis. Davis’s long lines and amazing flexibility were a great match for Guthrie’s strength and they had our hearts in our mouths again and again as he lifted her higher and higher, ending with Davis at the ceiling, stretched into an impossibly swanlike arch and balanced aloft by just one of Guthrie’s hands. Each year the choreography team of Lori Ardis and Amber Flynn create the entire ballet from scratch to take full advantage of the unique gifts of the dancers cast in each role, reprising just a few audience favorites here and there. This year’s shepherdess dance was altogether new. Rose Hodges made the role of the lead shepherdess look effortless, her pointes never making a sound on the Marley. William Hodges partnered her handsomely. Other standouts in the second act included Geraldine Leech’s spirited Spanish dance, the Chinese dance, the Candy Canes, the Quartet, and Nathaniel Hodges’s Tarantella, as well as Mother Ginger and her children, and the exquisite Waltz of the Flowers. Ellen McCullough has been a hardworking standout in the corps de ballet at SBT for as long as I’ve been attending performances. Her sheer happiness as she danced the Dew Drop Fairy was a palpable thing and Ardis and Flynn perfectly showcased McCullough’s beautiful extension and her infectious smile in a dance that was light as air, and accentuated by a filmy costume that glimmered in the lights like a real dew drop with McCullough’s every leap and turn. When it was time for Clara and her prince to return home I don’t think I was the only audience member who didn’t want the performance to end. Tickets are sold out for this year’s performances, but the best way to remember your tickets for next year is to sign your kids (or yourself) up for classes! Visit www.swarthmoreballettheatre.com to learn more. Did you know that Lori Ardis Ballet Company is a 501C-3 non-profit arts organization? Donations are always welcome. Volunteers, including photographer Kristen Herzel, are helping raise funds to purchase new environmentally-friendly lighting equipment for the theatre! Did you know that over one hundred volunteers assist with each production? If you love to sew or break down sets, be sure to reach out so you can join in the fun! All photographs are shared courtesy of Kristen Herzel and Swarthmore Ballet Theatre. The lights are in the windows and the garlands embrace the lampposts. The Home for the Holidays horses pulled their sleighs past our office last weekend as the Swarthmore Ballet Theatre performed one sold out performance of The Nutcracker after another. (Pictured above, Anna Si, as the Dew Drop Fairy – check out my Letter to the Editor in this week’s edition of the Swarthmorean newspaper about this magnificent production). Swarthmoreans seem to be focused on shopping locally this season with treasures at Harvey Oak Mercantile, Compendium with its selection of warm scarves, tasty treats at the Co-op, books and gifts at the Swarthmore College bookstore, and so many more choices all without setting foot in a mall or warming up the car! I’ll update this post in the coming days with more pictures of our town celebrating the season! Feel free to email me your favorite Swarthmore holiday pictures and memories to be shared! Trees are for sale outside the library – proceeds benefit the Swarthmore Fire Station! D. Patrick Welsh gets in on the holiday spirit! Guess The Address Contest 12/18/14! It is with great pride that I prepare to introduce you to an exquisite new listing in Swarthmore. This stunning Shingle Style home is on a rare double lot and has been lovingly restored. As the last few details are attended to before we begin marketing, I will pass the time with a Guess-the-Address Contest! Where the cat finds a raven on the lamppost! The hustle bustle of the season is in full swing. 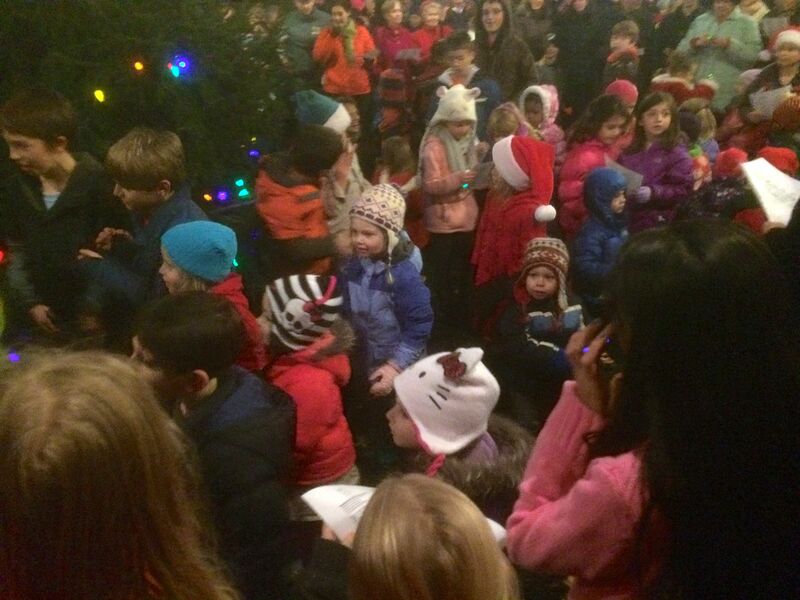 Swarthmore’s tree-lined streets are clogged with shoppers. Station wagons covet the parking spots near the fire department’s tree sale. And a thousand foil-wrapped chocolate coins compete with the poinsettias for aisle space at the Co-op. The air is charged with anticipation and a hint of anxiety! But in one place last weekend, I found the peace and wonder so often lost in the turmoil of the holidays. Tucked between downtown and the library, the beautiful Arts and Crafts bungalow with the golden dancer on the sign welcomed a small audience to a production of The Nutcracker. At 7:30pm the lights went down at Swarthmore Ballet Theatre, and Mrs. Ardis came out to tell us all the story of the ballet so that each member of the audience, large and small, would know what was coming next. Then the music began and collectively we held our breath in delight. The party scene was lovely and quite funny. The maids and family were a joy to watch. Caroline Grogan as Clara’s sister (a good twist on the usual Fritz) was full of pixie-ish energy and Sue Dowling was hysterical as the Admiral’s wife. 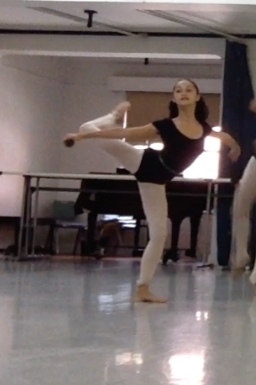 Anna Morreale danced Clara with a timeless innocence. Her reaction in the moment when William Hodges’s dapper Drosselmeyer revealed the nutcracker to her was especially sweet. Eleanor Runiewicz was fantastic as the Heart Doll – it was magical to see her come to life and we rued the moment she turned into a doll once more. When the party guests were gone the story seemed to fly, with soldiers, rats and plenty of action. In particular Olivia Labows danced the Royal Rat with a fascinating sinuous quality. Mrs. Ardis and Amber Flynn, who choreographed the ballet together, have a wonderful knack for casting dancers who partner well together, and for playing up the humor and drama in each scene. The pacing of the production made the evening feel short in spite of our being treated to every note of the Tchaikovsky score. This was my third visit to a production of the Lori Ardis Ballet Company, and my second Nutcracker. The more often I visit, the more I am delighted and astonished at the way the company works together. A dancer may be a lead in one production and a member of the corps in another. The only thing to tie the performances together is the utter commitment with which each dancer on the stage delivers his or her part no matter how large or small. A new face in the ballet was William McCullough as the Nutcracker prince. I first saw McCollough perform at an SRA production of “A Midsummer Night’s Dream” a few years ago. He had a relaxed and likable presence as Quince and he was just as charismatic and at home on the stage of SBT in spite of a very demanding role with complicated partnering and multiple lifts. I hope to see more of this young man’s work at SBT. The second act had so many standout moments. Among them was Rebekah Kuzmick dancing the Arabian with a shy intensity, and accompanied by Ava Dijistelbloem, Noa Dijistelbloem and Michaela Venuto. The Sheperd and Shepherdess dance (complete with sheep and Tony Venuto’s leaping, gamboling Wolf), and Mother Ginger with her winsome children were also wonderfully fun to watch. Anna Si showed her range once again, dancing the Sugar Plum Fairy with a seemingly effortless elegance, partnered by Donn Guthrie. Though the performance space is small, there is still a place on the floor near the stage where children are invited to sit for an unobstructed view. My little helpers and I took advantage of that opportunity. Watching this group of incredibly talented dancers bring the timeless story of childhood wonder to life, in an intimate theatre with my children literally in my arms was a sweet privilege for which I will be grateful long after the decorations are put away and we’re back to business as usual. Did seeing the production make you want to dance too? 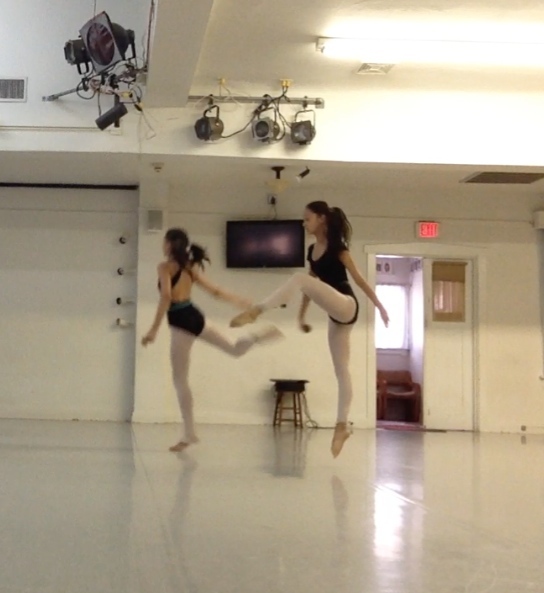 Swarthmore Ballet Theatre offers professional training to children and adults. Tuition is inexpensive and attendance is practically a rite of passage for the lucky children of our community. Please visit http://swarthmoreballettheatre.com to learn more! 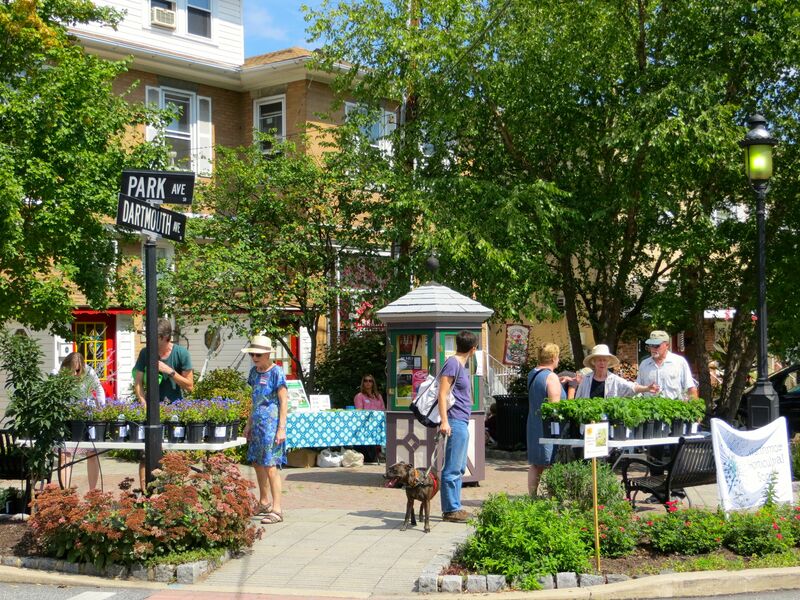 The Swarthmore Horticultural Society held a plant sale in town today! It was heavily attended and we’re all grateful to the SHS members for coming out in the heat to share their knowledge! The Dance Days of Summer! As you know, I love to share good news from Swarthmore – especially if it has to do with the arts! Mrs. Lori Ardis was kind enough to provide a few pictures for me to share with you so you can see what happened at Swarthmore Ballet Theatre this summer! Each year, while the rest of us are relaxing with our summer reading, a select group of the most dedicated students from Swarthmore Ballet Theatre are given the chance to participate in an intensive summer program that meets weekdays for six hours each day. Guest instructors from all over the world teach these Swarthmore Ballet students dance classes, choreography and even how to play the castanets. This would be an extraordinary opportunity for ballet students anywhere, and it is especially unusual in our suburban setting. Strengthening and limbering exercises were also taught, using 3-foot high exercise balls and exercise bands. Four leading dancers from the Pennsylvania Ballet taught for 3 hours each afternoon for a month at Swarthmore Ballet Theatre. All four instructors taught the SBT students ballet technique for 2 hours each day. The dancers did Floor Barre, Variations (which are solos from ballets) and Repertoire (group dances from ballets) to grow their skills. Principal dancers, Lauren Fadeley and her husband Francis Veyette, who danced the leads in Coppelia this spring at Pennsylvania Ballet, taught the students a dance from that ballet. Mr. Veyette also taught the males and females partnering as he does during the school year at Swarthmore Ballet Theatre.. Principal dancer Amy Aldridge taught a solo she not only performed with PA Ballet but also at the Vail International Dance Festival! Retired principal dancer Martha Chamberlain taught the students 2 dances choreographed by George Balanchine. Congratulations to all the dancers who participated! Below are two more photos of the bell dance. If you wish to know more about Swarthmore Ballet Theatre’s regular school year classes or the Summer Intensive Program you can visit the school’s page at www.SwarthmoreBalletTheatre.com. 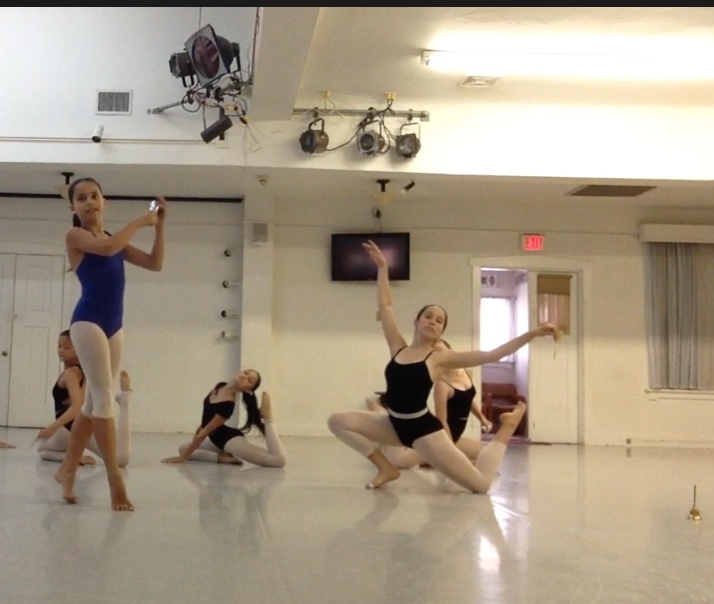 The school is also home to a non-profit Ballet Company – donations are always welcome and are tax deductible. 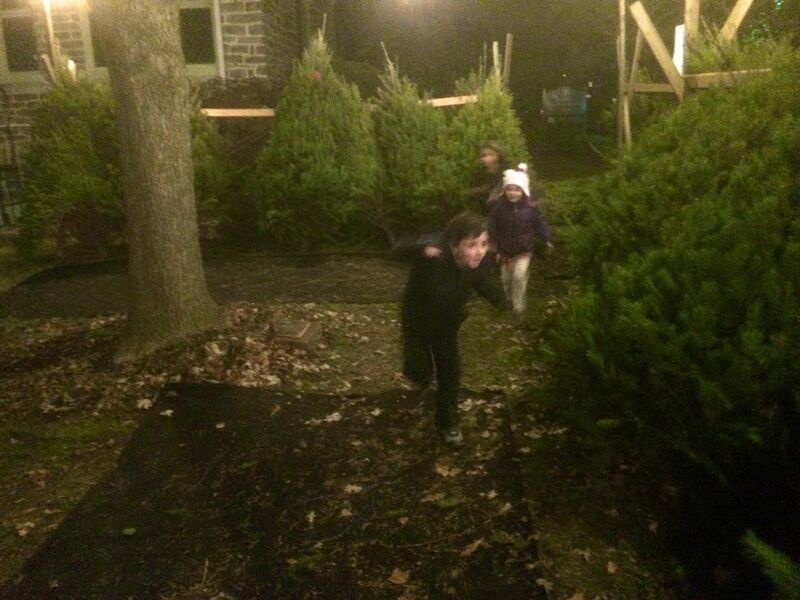 The kids ran around an inadvertent tree maze before the town tree was lit! The Swarthmore Fire Company is selling these beautiful fresh trees to raise funds! 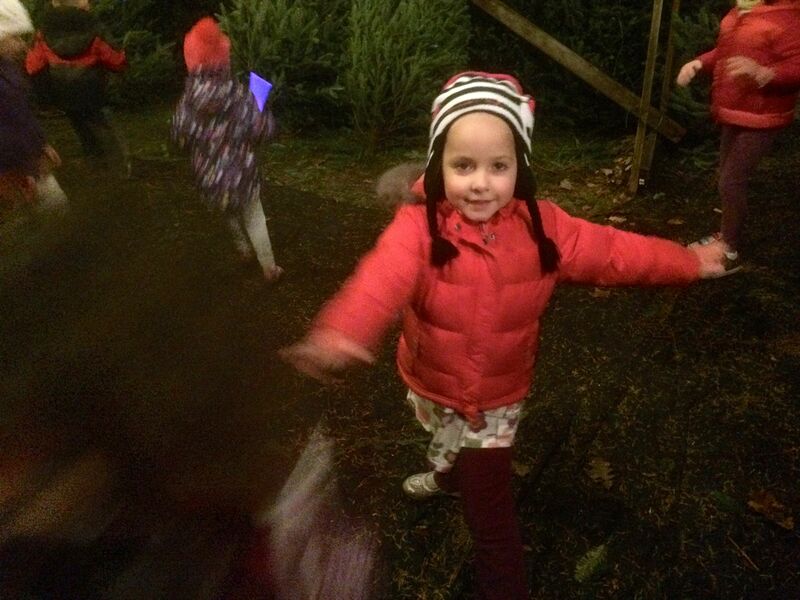 The children agree that running around the trees is a good way to keep warm on a cold, wet night! Marty “Mr. Swarthmore” Speigel plays the guitar as the singing begins. 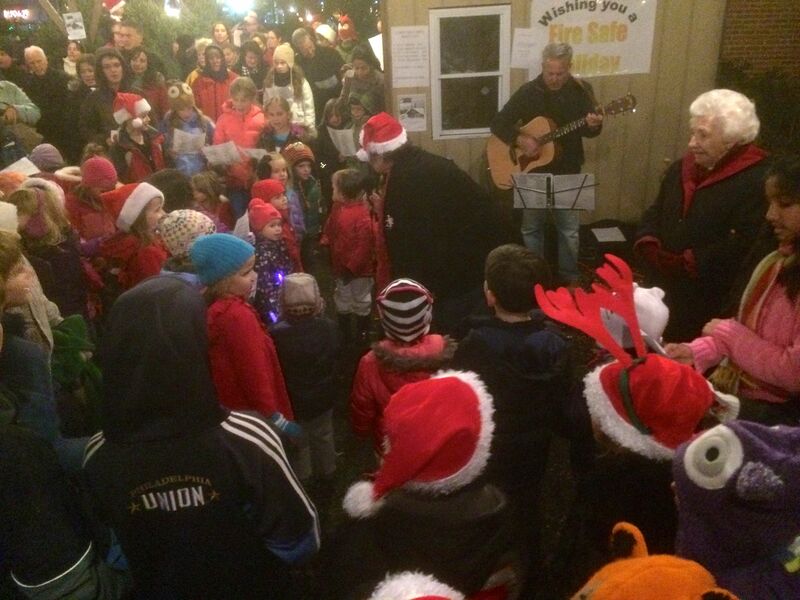 The town is led in a rousing chorus of “Jingle Bells”! Earlier in the day, Young People’s Theatre Workshop presented “The Aristocats” musical! My little helper and I were impressed with the large and talented cast, great choreography and direction! 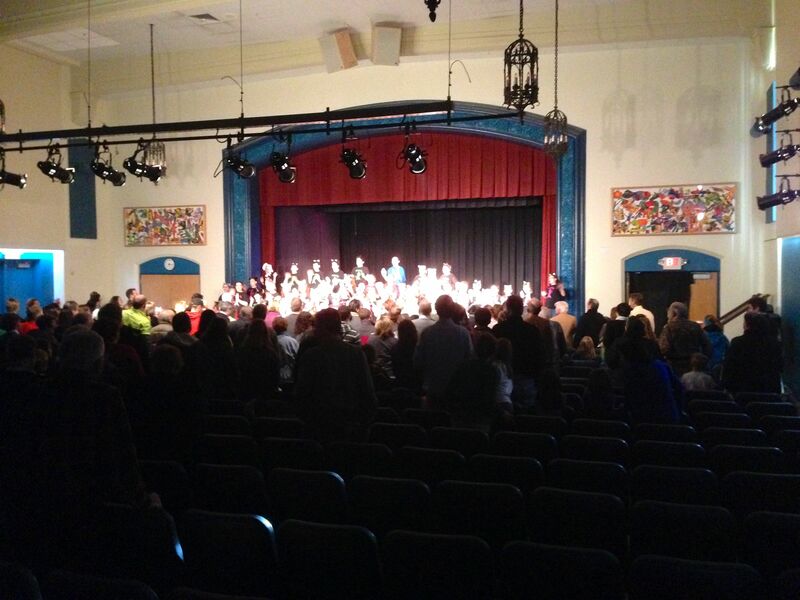 The audience jumps to their feet and joins the cast in a reprise of the chorus! 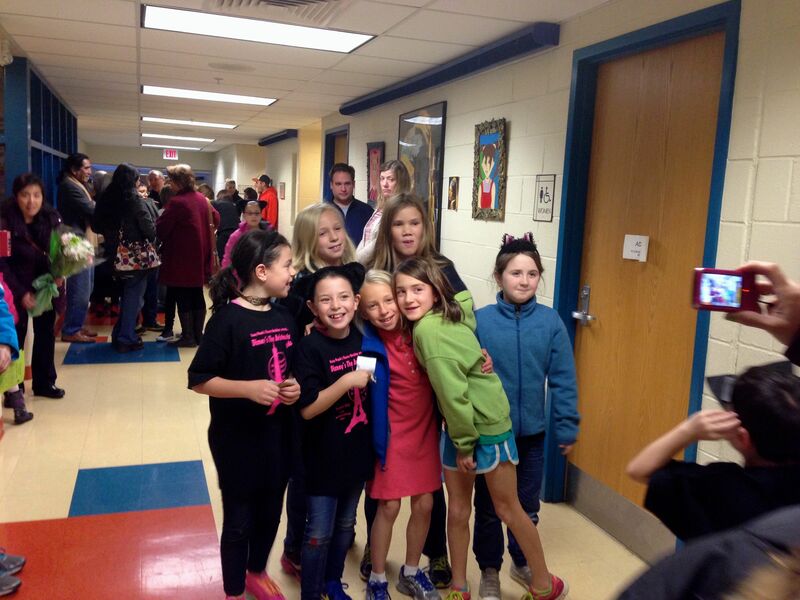 Cast members pose for pictures with their fans!